The long-in-the-works Beverly Hills, 90210 quasi-revival is coming to Fox aka the home of the original 1990-2000 series. The network confirmed the news on Wednesday, and there's not long to wait for the new series to get underway. It's set to premiere with a six-episode first season this summer. Yes, we get that summer is just a few months away, so we're totally freaking out about this. The network is billing the new series as an "event series," possibly confirming it will not air every season, and that it could be brought back every few years. Granted, that would depend on how the series fares with both viewers and critics. 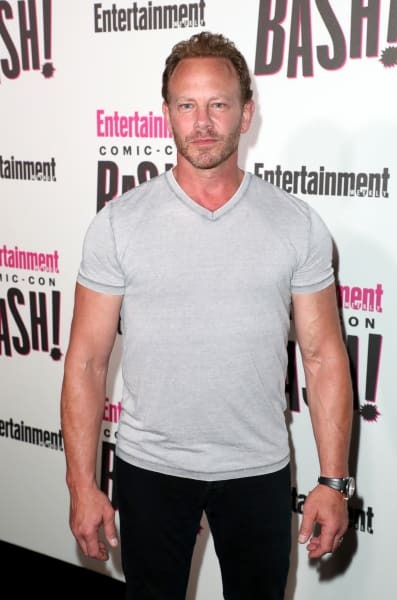 Original cast members Jason Priestley, Jennie Garth, Ian Ziering, Gabrielle Carteris, Brian Austin Green, and Tori Spelling are slated to return, while Luke Perry is expected to appear in as many episodes as he can while Riverdale is on a production hiatus between seasons. No word on whether Shannen Doherty will be appearing, but given that the series premieres in the summer, there's not long to lock the actress down. "Having gone their separate ways since the original series ended 19 years ago, Jason, Jennie, Ian, Gabrielle, Brian and Tori reunite when one of them suggests it’s time to get a Beverly Hills, 90210 reboot up and running," reads the official logline. It's certainly a different direction to take things, but it could be a great way to get fans excited. “Beverly Hills, 90210 left an indelible impact on pop culture and an entire generation,” said Fox entertainment president Michael Thorn in a statement. Okay, Beverly Hills, 90210 Fanatics.